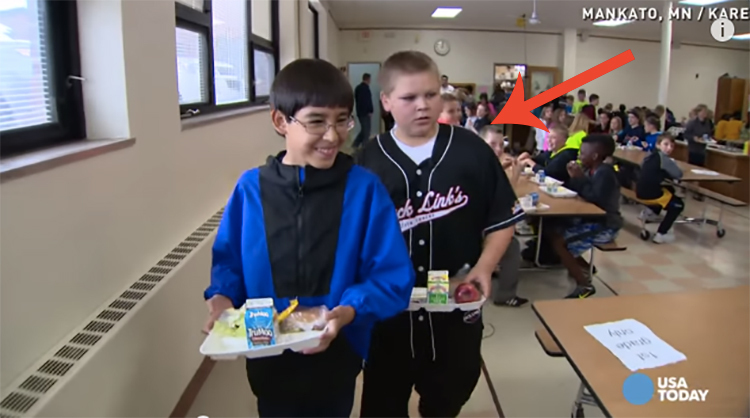 Special Needs Kid Was Bullied, But When I Saw What The Boy Behind Him Did It Melted My Heart! As kids growing up, most of us have witnessed someone else, if not ourselves bullied by our peers. Confronting bullies and standing up for what’s right can be a scary thing to do, but as good human beings it is our responsibility to stand up for what’s right especially if that means taking a stand for those who can’t defend themselves. James is a special needs student and has been bullied his entire life… until these 5 fifth graders got a strong whiff of justice from a school anti-bullying program. Enough was enough. Classmates Gus, Tyler, Landon, Jake and Jack decided to do something. But no one expected them to go this far. What they did left everyone stunned. These boys protect James, but not only that.. they cherish him as a human-being and friend. The group spends every day with them from time in class to homeroom to recess. They talk about fun and engaging topics from sports, to super heroes, and put a big smile on his face. Lately, they even took their friendship to after school hours and hang out at Jame’s house. It’s incredible to see such kindness in the hearts of these boys. Bullies rarely change, but you can do your part to stand up to injustice too. Watch these young boy’s act of kindness and get inspired, the world truly needs more kids like this in it.